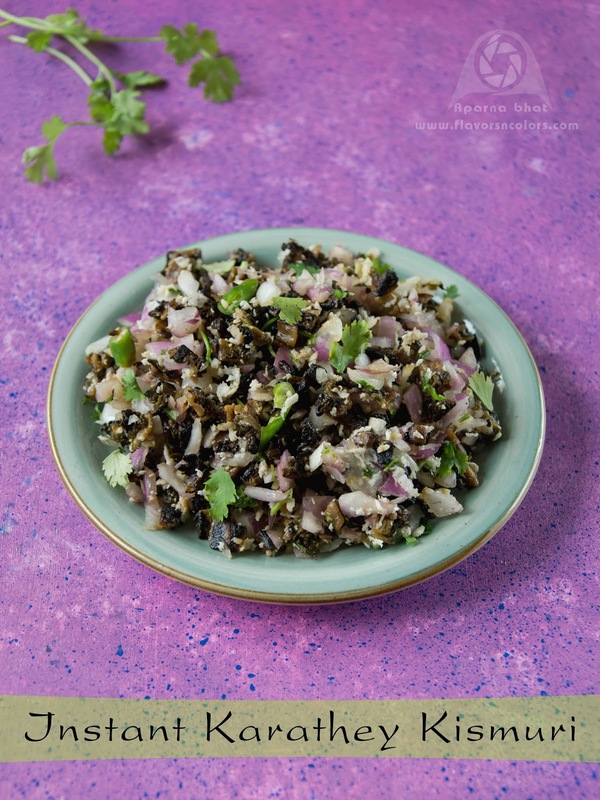 Kismuri is salad type side dish prepared by Amchis that goes well with rice dalitoy combination or pej (red rice kanji), I already have a recipe for Karathey Kismuri which you can check here. Today's recipe is again on Karathey kismuri but this one is a fatafat/instant version. No grinding of masala is done in this recipe. You may substitute bittergourd pieces with vegetables such as beans, carrot, yam [Surna Kismuri] or red chilly papad (Happala kismuri). Wash and clean the vegetable. scrape the skin with a knife. Finely chop the vegetable [discard the seeds]. Sprinkle some salt and mix it well. Keep it aside for 10-15 mins. You may squeeze the water that oozes out of the chopped vegetable pieces [I skip this step]. Heat 2-3 tsp coconut oil in a pan and shallow fry the butter gourd pieces uniformly until they turn brown and crispy. Keep them aside and allow it to cool. In a bowl take chopped green chillies with salt and crush it with hands. Add freshly grated coconut and chopped onions. Mix it well. Add the fried bittergourd pieces just before serving. 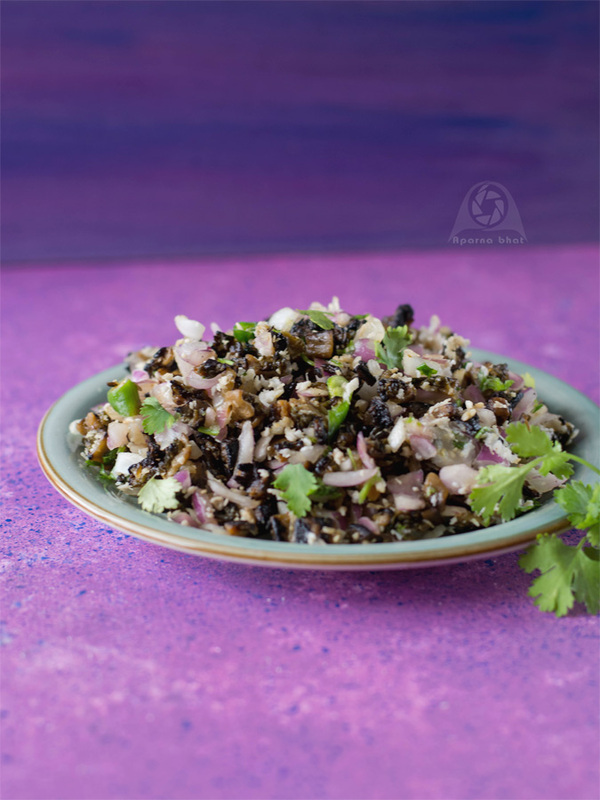 Garnish with finely chopped coriander leaves and Karatey Kismuri is ready to be served as a side dish with rice and dalitoy or pej (red rice kanji). Optional step: you may squeeze in some lemon juice before serving.